Following the close of the January transfer window, allnigeriasoccer.com brings you transfers involving Nigerian players that you might have missed. Obinna Obiefule has joined Maltese Second Division club Siggiewi FC on undisclosed terms. The veteran striker previously turned out for Maltese teams Marsaxlokk, Mosta, Hibernians FC, Pembroke and Vittoriosa, and had a brief stint with Saudi Arabian club Najran SC in the 2014-15 season. Still in Malta, Pietà Hotspurs secured the services of midfielder Uchenna Calistus Umeh. He lists Ekranas, Valletta and Birkirkara as his former employers. 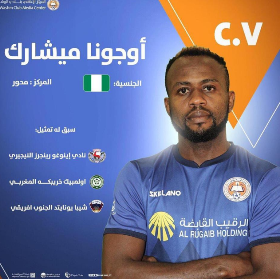 Former Chippa United star Ugonna Uzochukwu has moved to Saudi Arabian Prince Mohammad bin Salman League side Al-Washm while Austin Amutu has joined Egyptian team El Masry after spells in Israel, Turkey, Malaysia and Tunisia. FC Midtjylland product Jude Nworuh has joined Israeli Liga Leumit side Hapoel Marmorek F.C on a free transfer. FK Haugesund striker Shuaibu Lalle Ibrahim has been loaned out to Israeli Premier League side Bnei Sakhnin until July 31. He is a product of Golden Boot Soccer Academy.